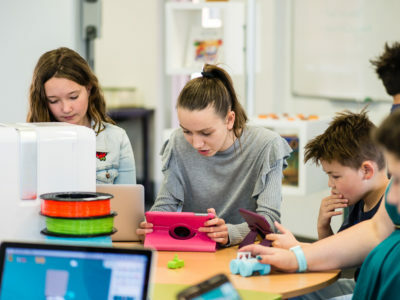 Keen to set up a successful Makerspace for your school? Makerspaces are an awesome way to engage students in hands-on learning through making. Students love the practical experience of creating and problem-solving that goes into making. 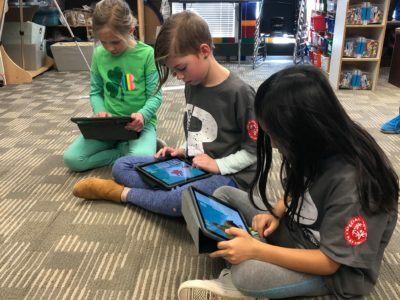 Plus, there is now clear evidence that makerspaces can be highly effective at developing children’s creativity, critical thinking, Design Thinking and digital skills. 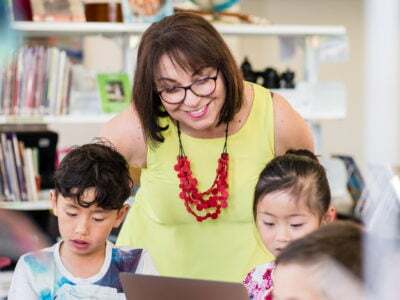 From mid 2017 to mid 2018, Macquarie University’s Department of Educational Studies partnered with the NSW Department of Education, three NSW schools and Makers Empire for a research project on maker pedagogy in primary schools. 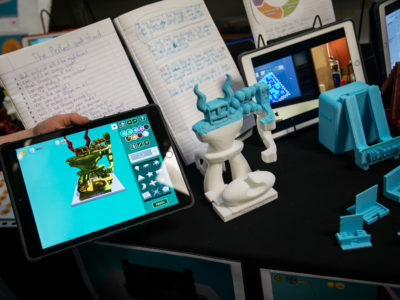 The research project focused on the impact of maker pedagogies through the provision of Makers Empire’s Learning by Design course and the use of Makers Empire’s 3D modelling and printing tools. 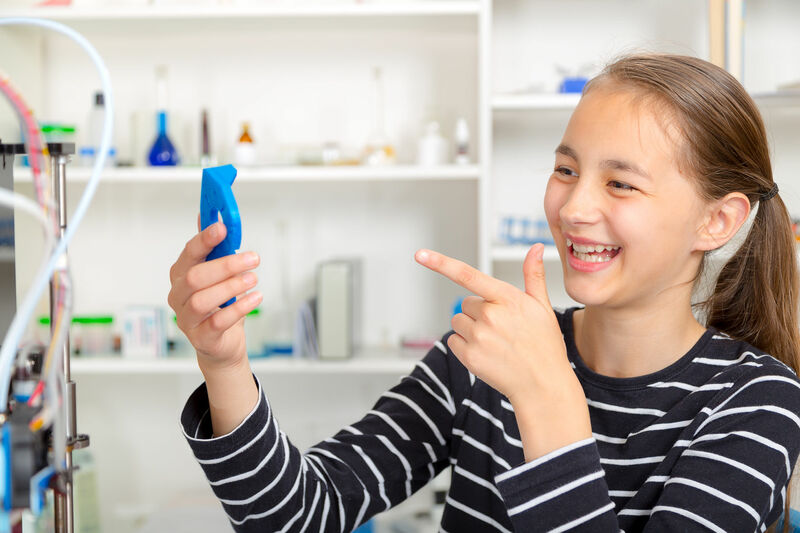 The recently published research study report revealed that students were highly engaged with the 3D technology, and the idea of solving genuine design challenges – it helped boost their confidence and resilience when dealing with setbacks, particularly for those less capable students. The research study also showed that teachers became more comfortable with technology, and more collaborative and flexible in their teaching. So a makerspace would be a wonderful addition to your school for both students and teachers. But your Makerspace will only be as good as the planning and implementation that sits behind it. Great classroom teachers are the key to getting students thinking and making in Makerspaces. Provide areas where students can work comfortably on their own or in teams. Movable furniture is a great addition to a Makerspace. Creating dedicated ‘hot desks’ where students can work with tools and discussion areas with whiteboards and post-it notes to facilitate design thinking are excellent additions to any Makerspace. It is important that students have easy to access electrical power points so they can plug in their laptops, tablets, or other making tools. Extension cords are an option but remember that too many can create a safety hazard. Making can be a messy process! As students work through the design process they will be continually reiterating their designs so have some big open mouth bins handy. This is a great opportunity to discuss waste and recycling with your students as well, so you can make sure you have responsible makers! Think about what you want students to be able to do in the MakerSpace and the tools they will need for this to happen. Will your students need hammer and nails, wood, cardboard, glue, screwdrivers, 3D printers, computers, etc.? Having the right tools available to your students is key. Explore what tools you want your students to have access to. A Makerspace has the potential to become a very messy and cluttered space. Adequate storage with clear labels is important. Plus, storage should be accessible to the students, so they can reach what they need without having to ask for help. Students also need a clear space to work so any non-essential items like school bags etc should be placed neatly away from the working spaces. Every space at a school should have a first aid kit, and the Makerspace is no different. Minor injuries are sometimes a part of the making process, and its always good to be prepared. The modern Makerspace is not complete without a 3D printer. Manufacturing companies are adopting 3D printing technology across nearly all industries so it’s essential that students are familiar with the technology’s design and prototyping benefits. Luckily, a Makerspace is the perfect place to give them access to this cutting-edge technology. 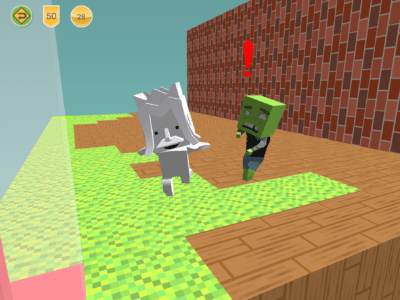 You want a design software that is easy for your students, like Makers Empire 3D. You want students to be able to learn the software on their own and start designing straight away. 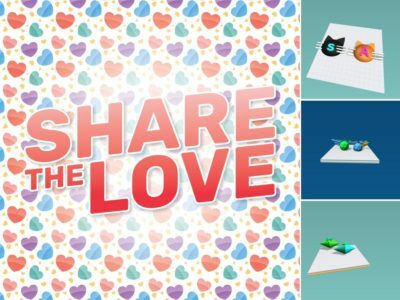 A software that allows students to work on their designs in class and at home is a great feature as well. 2. What 3D printer is right for you? If you are a beginner, start off with a 3D printer that is low tech. This will make setup and print your first designs much easier. Do you need a small, portable printer or do you want a larger printer for big projects? Ideally look for fully enclosed 3D printers with a built-in air-filtration system. You will need to invest in 3D printing filament which looks like a big fishing reel of plastic. This is what your designs will be printed with. Make sure you choose quality, safe filament and store it in a dry (non-humid) area. The low-quality filament is responsible for many, many 3D printer issues. Early on, students will be fascinated with the 3D printing process so position the 3D printer in a spot that makes it easy for students to view progress. Plan for the addition of more 3D printers as your Makerspace grows! 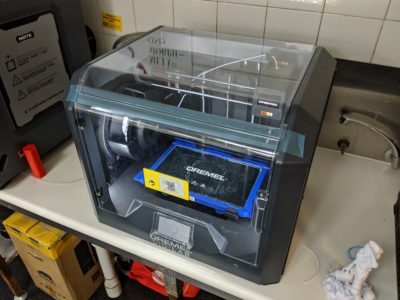 3D printers usually come with tools and safety glasses. These tools are there to help with the printer set up and if there is ever an issue with the printer. So have an area where they can be housed next to the 3D printer. Ready to take the next step to make a Makerspace a reality for your school? We are here to help. Click below to get a quote for the ideal 3D technology solution for your school’s Makerspace!